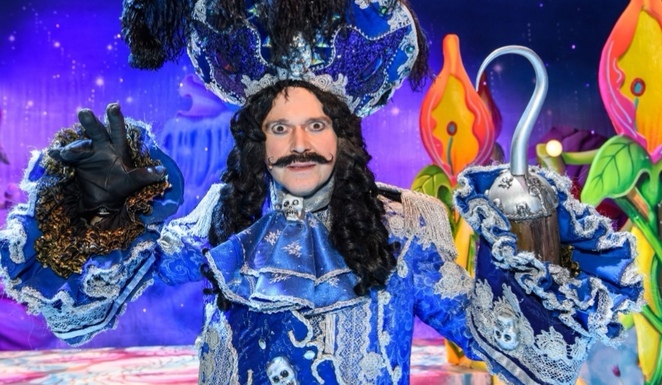 Music star Jimmy Osmond proved a stunning addition to this year's Peter Pan panto but sadly suffered a stroke in late December and is now recovering. His replacement with just two days of rehearsals is performer Darren Day. Despite the short notice, Day is lucky enough to have master of ceremonies Matt Slack at his side. The comedian is in his sixth year of starring in the Birmingham Hippodrome panto and has become so synonymous with it that a Hippodrome seat has now even got his name on it. Slack delivers on his usual slapstick craziness and close of the bone jokes (more aimed at adults) and has the audience eating out of his hand. I saw Jimmy Osmond in an early showing of Peter Pan at Birmingham Hippodrome and the 55-year-old managed to leave Slack a little in the shade with his super slick performance that comes from spending a life in showbusiness. After all, he was in The Osmonds from an early age. Osmond was always going to be a hard act to follow but Day holds his own in the Captain Hook role that he has been parachuted into. While he hasn't quite got the same star status as Osmond, he has a strong presence on stage. It's hard to believe he hasn't spent months practising the routines that include a particularly difficult set of tongue-twisters. Day's ease at being the wicked pirate is probably because he's a panto regular and that enables him to have just the right tone and silliness needed. Slack can't even detract him from his lines and instead resorts to trying to flummox younger cast members like sweet-faced and voiced Jaymi Hensley playing Peter Pan. The former Union J pop singer has quite a voice and uses it to woo the crowd. Making her panto debut is Wolverhampton-born comedy actor and writer Meera Syal, well known for Goodness Gracious Me, The Kumars and Anita and Me. She's more associated with serious acting and has gained recognition for her performances with the Royal Shakespeare Company. Syal is likeable enough as The Magical Mermaid, but she never seems fully comfortable or relaxed enough on stage with the ridiculousness of panto. Those who pull off panto the best are the more carefree, silly personalities and you always feel like she's a little too controlled for that. Syal is pretty good at some fantastic tongue-twisters while wearing false teeth in a scene when she's disguised as a little old Indian lady. 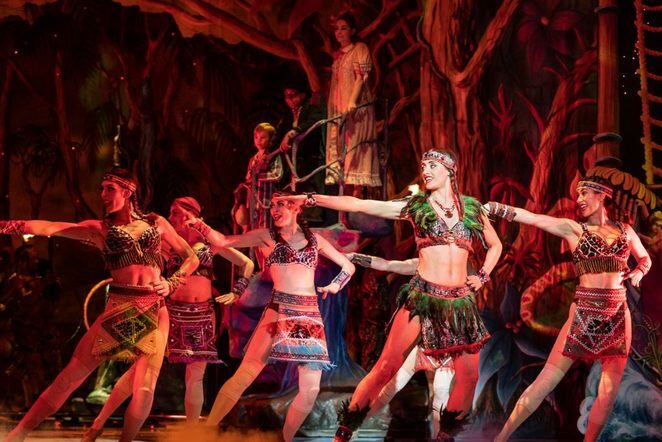 Birmingham Hippodrome's panto has become renowned for its special effects and Peter Pan continues in that vein with a humongous crocodile that will leave you open mouthed. It really is stunning and the moment when it eats Captain Hook is guaranteed to be a favourite among the children. To add to that are a showcase of well chosen, rousing songs. Peter Pan proves very on-trend with a range of hits from the soundtrack of the hugely popular The Greatest Showman. Much of the soundtrack was based around Jimmy Osmond's back catalogue and this has been kept in despite his absence. There's Crazy Horses with the lyrics changed to Crazy Pirates and a section based on Long-haired Lover From Liverpool in which Slack gives a shout-out and well wishes to Jimmy. There's a good reaction from the audience and it seems a fitting way to acknowledge what happened. There's also a mention about Jimmy and his recovery during the finale before the cast sing Love Me For A Reason. A real bonus to this year's show is the addition of some acrobatic acts performing risque stunts. 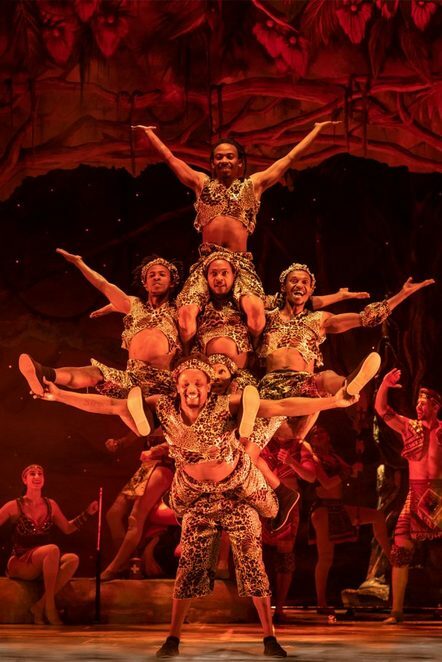 There's the Timbuktu Tumblers, who create human pyramids, limbo through flames and jump through hoops in fascinating ways, while later on Sascha Williams and Stephanie Nock pretend to be drunken sailors and showcase extreme stunts that rely on a lot of balance. While the special effects, music and comedy is on a par with previous years', the only drawback is that these elements seem to have taken over from the main storyline. The actual tale of Peter Pan gets lost amid these other shenanigans and there are much more appearances by Slack instead. Unfortunately, I think the balance has become too skewed towards the stand-up rather than telling the story, and for it to be a really fantastic panto, it needs both. This year, it felt more like a variety show than a story being told. Much of the plot was missing and Tiger Lily's character was wasted with no real meaning to why she was there, which is a shame as she's the most independent, fiesty female in Peter Pan and an apt role model to all the young girls in the audience. Instead attractive actor Imogen Brooke only seemed present to sing and look seductive in a skimpy outfit. That said, Peter Pan is quite the adventure with an emphasis on laughs. Jimmy Osmond may now be unable to perform but Darren Day is a worthy stand-in. Ultimately, it's Slack that keeps the fun flowing and is the magic ingredient that makes the panto sparkle. 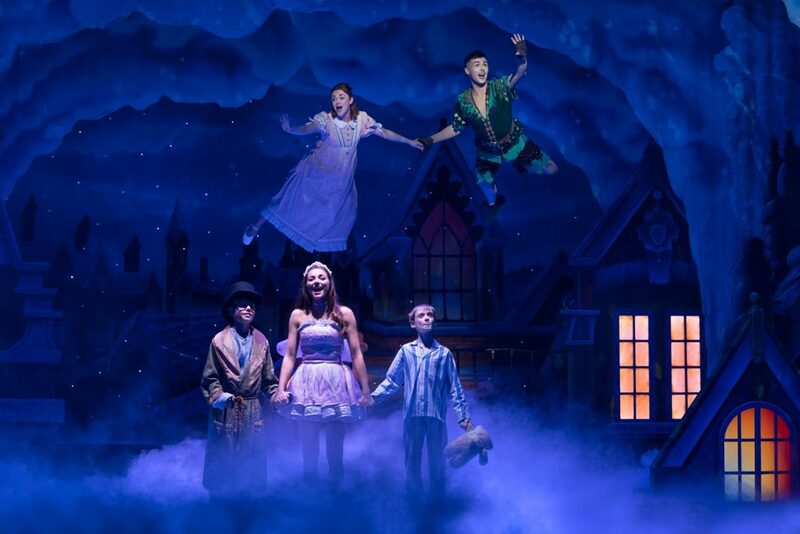 Peter Pan runs at Birmingham Hippodrome until 27 January 2019 with tickets from £16. For tickets visit birminghamhippodrome.com or call 0844 338 5000.